Day 181. Ever since Optus upgraded our old cable modem to the latest Docsis 3 model, I've been really disappointed with the performance of the wifi in our house. The modem, a Netgear CG3000, left us with dead spots and generally poor performance at the back of the house. After a conversation with my very knowledgable friend Allan, he gave me some suggestions for using the modem in bridge mode, turning off it's built in wifi, and instead using a higher end wifi router instead. He recommended the Netgear R7000 Nighthawk, a really kickass high performance router that has every feature imaginable in a router. So today's create is the creation of a much better, stronger, faster wifi experience at home. While I was it I relocated the gear, rerouted some Ethernet cables and so on. Not your typical create, but creating better wifi is a pretty big deal in our house. Day 180. Spent some more time playing in Adobe Sketch, and just, well, sketched. I really like the graphic nature of the drawing tools in Sketch, they make very realistic-looking marks on the page, and the colours bend well without interfering with the inking tools. No idea where this head came from though... Just appeared as I sketched. Day 179. I was messing around in the new Adobe Sketch app, just throwing some colours around and using the line drawing tool, which was not a tool usually found in sketching apps. My fiddling was literally just a bunch of scribbles on the screen. 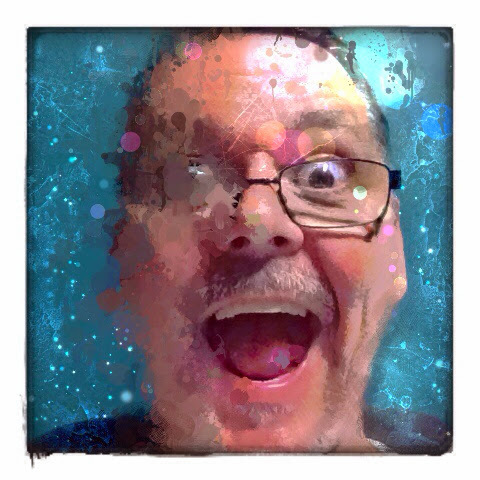 I then sent it out to the Repix app and messed around with it there too. I applied a bunch of effects but particularly the drips and daubs brushes. End result reminds me a little of Blue Poles, but on a Pride weekend, with more colour than just blue. Day 178. Google just announced a whole bunch of new features for Drive this week, and today's create is a short video explaining the new commenting features in Docs. Although I say in the video that this brings parity to the two tools, I actually think this is even better than the Track Changes in Word. Day 177. Being an ex-bass player, I really dig a good grove. In fact, just building up a good rhythm and percussion track, laying down a nice clean bass track, and adding a few simple riffs can sound pretty sweet. In this little audio piece I made in Garageband I started with a basic drum track, then added some bass, then added some guitars, then added some more guitars, then some more guitars, then some more drums and then some more drums, and, well, you get the idea. It builds up, has a few breaks, then subsides again. I kinda like it. Feel free to use it or remix it. Day 176. Another blackout poem, this time ironically from the source of blackout poems... 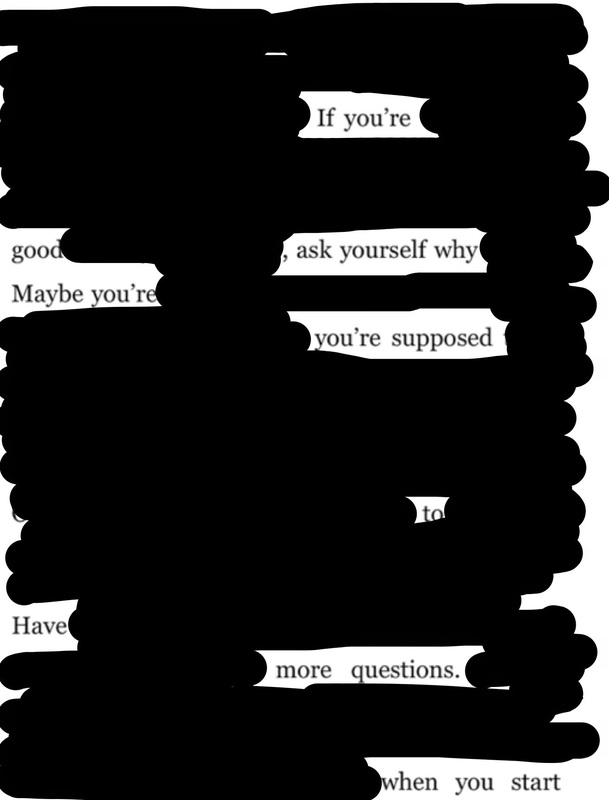 I was not aware of Austin Kleon when I created my first piece if blackout poetry, but Kleon is the guy who came up with the idea (or at least wrote a book about it). This time I used a piece of writing out of his book called Show Your Work, a book about creativity which I highly recommend. I took a screenshot of a page from the Kindle editin of that ebook, imported it into Notability, blacked out some words to leave a poem, then screenshotted the result, keeping the entire process digital. If you're good, ask yourself why. Day 175. You know I enjoy the occasional bad visual pun. (search on the tag "pun" if you need reminding). 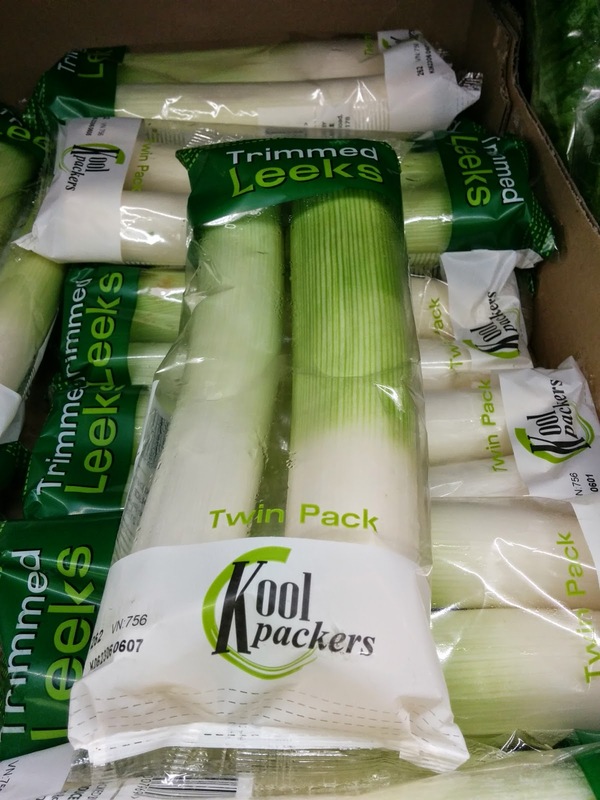 Anyway I was shopping today and spotted these leeks in a bag and couldn't help thinking "There's a leak in this bag!" Day 174. I quite liked the faces I made for yesterday's create so I chose one and kept app smashing it through other apps. 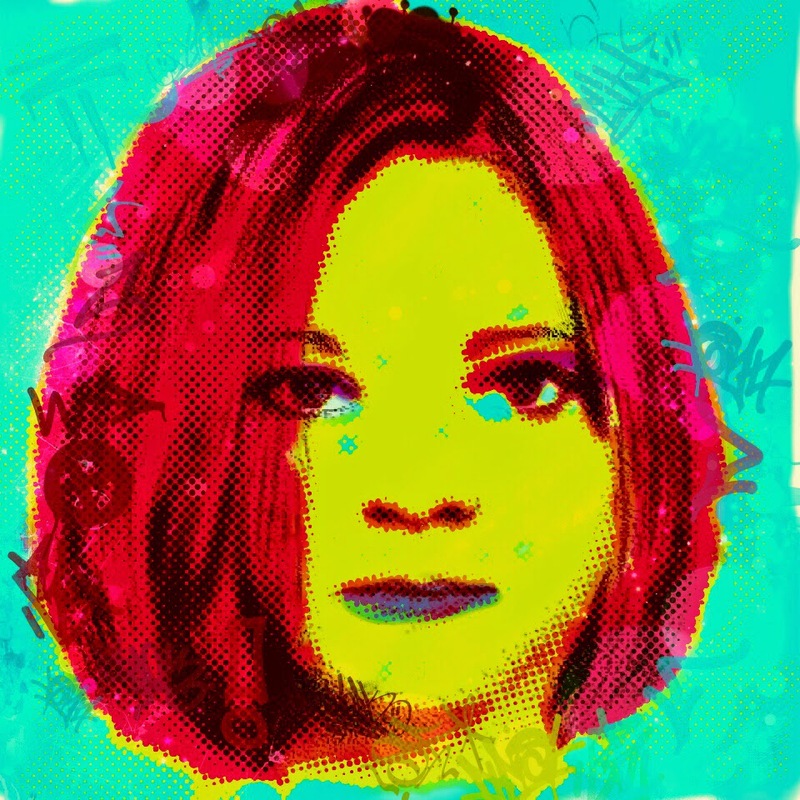 Starting with a identikit face made in FlashFace and then coloured with Warhol:DIY, I then opened it in Repix and applied a series of filters and effects to it, then brought it into Adobe Photoshop Touch to tweak the colours and textures a little more. 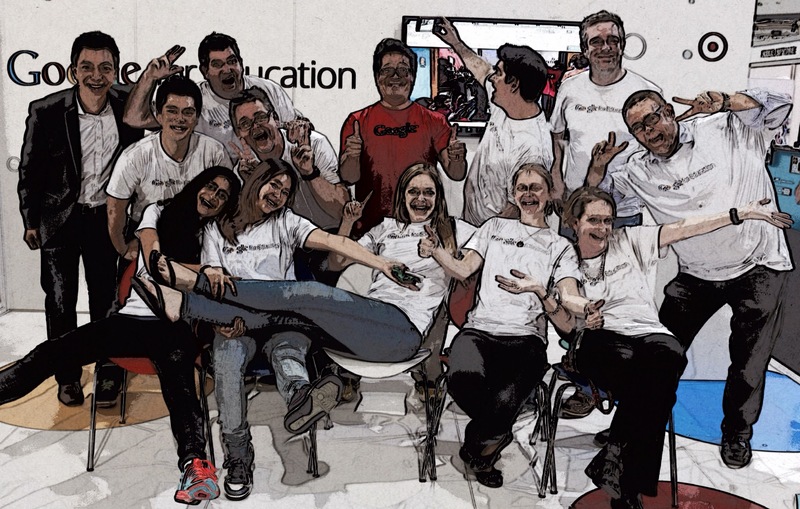 App smashing, or passing an artefact through a series of apps can come up with some interesting results. Day 173. They say that beauty is in the eye of beholder, so I thought for today's create I would manufacture some random beauty. These female faces were all created using FlashFace, an identikit app that lets you assemble faces out of the various parts. I think all these faces have their own beauty. 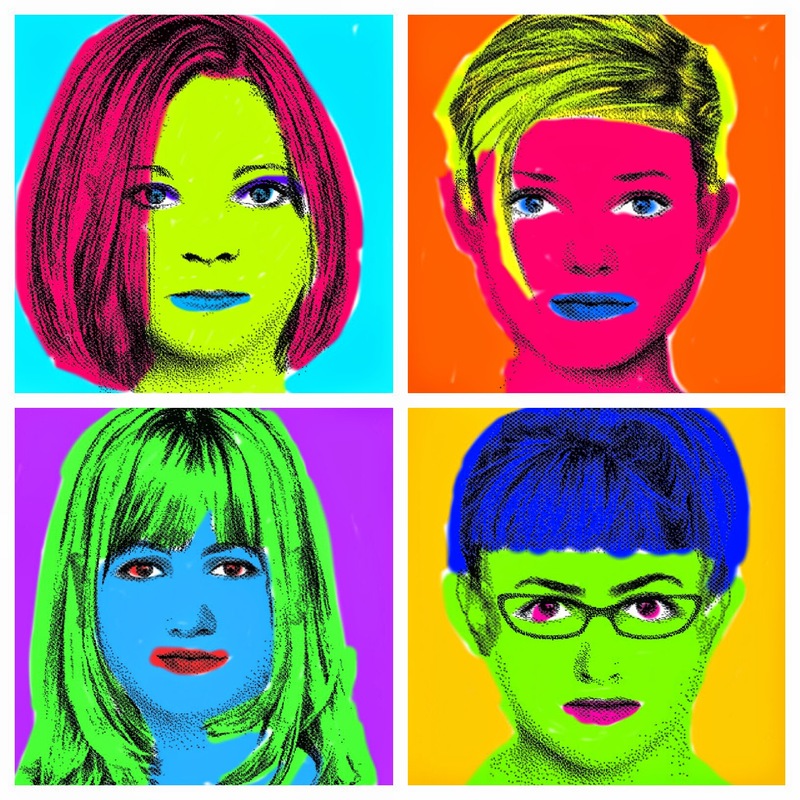 After making them I put them through the Warhol:DIY app to create faux screen printed versions, ala Andy Warhol pop art style. Day 172. Here's Linda, sitting in the backyard minding her own business, when out of nowhere, zap! Backyard barbecue of a different kind. There are a few apps for the iPad that do this sort of thing, but this little clip was made using one called Exploder Cam. Day 171. This photo was taken a couple of weeks ago, but I was playing around with an app called Paper Camera tonight and used it to apply some filter fun to the image. I then brought it back to the camera roil on the iPad and made a few more adjustments to it there. Looks quite cartoonish. Day 170. 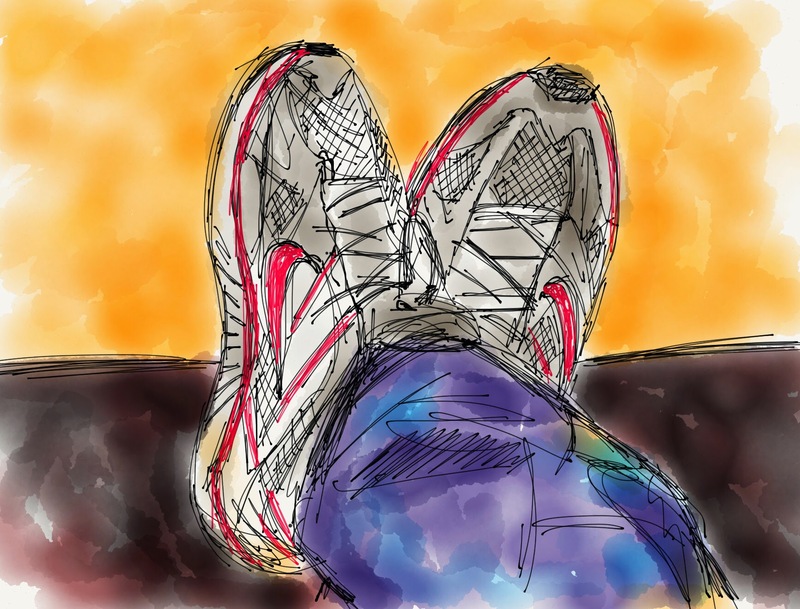 So, I was sitting on the couch, feet up, wondering what I might daw for today's daily create. Sometimes the answer is right in front of you. My feet sketched using Paper by 53 and a Jot Pro Adonit stylus. Day 169. While at the Flat Connections Conference this week I had the opportunity to take the students outside one afternoon and show them how to make stop motion videos. This is just a quick little sample we made but the kids went on to do some very cool little videos that showed a great deal of creativity and fun. Anyway I'm about to add a few missing days to catch up. Here's the first. 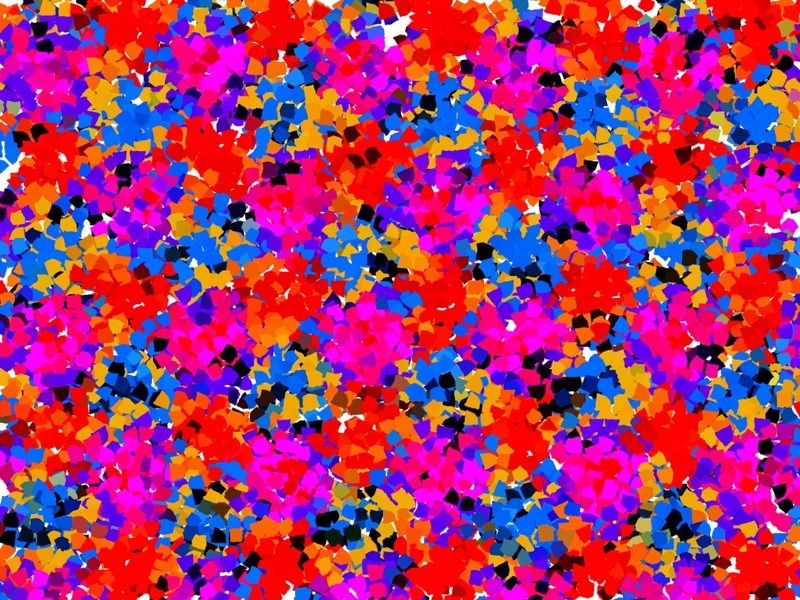 This piece was made by drawing lines using iOrnament, then changed using the filters in Photoshop Touch to come up with this confetti-like pattern. Day 167. I was having a play with Pixton for Schools, an amazing comic strip editor that runs in a browser. It's impressive in what it can do and intuitive to use... this silly little sample was made in about 5 minutes (don't ask me where the story came from, I have no idea). I like the fact that you can sign in using a Google Apps account (very useful at my school) and that it all runs and saves in the cloud. It's not free, but the pricing model is one that actually makes sense for school. Definitely need to find a good use for this next term! Day 166. This is more like the start of a create than a create itself, since what I created is not really functional or useful yet. 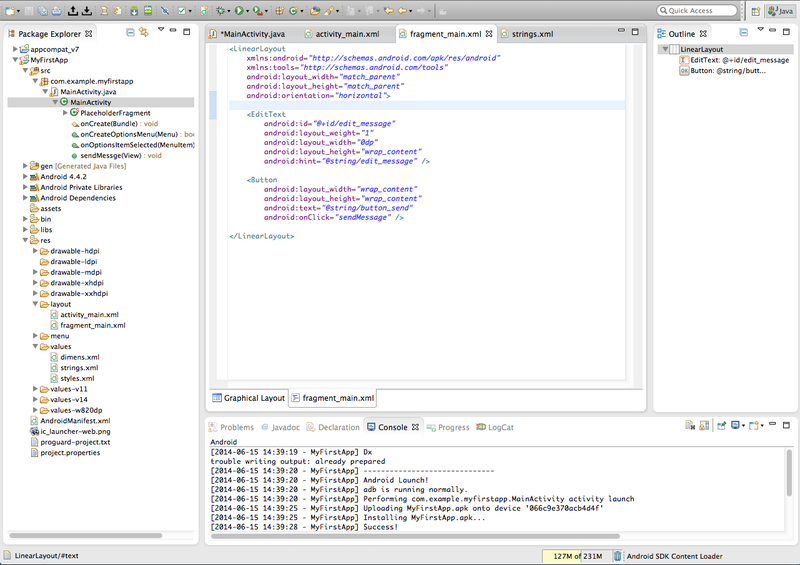 But today I downloaded the Android Software Developers Kit from the Google Developers site and installed it. I used to be a member of the Apple Developer Program, but it expired and rather than spend $99 I thought I'd move over to see what I could do using Eclipse on the Android side of things. Learning to program is not easy and there is lots of stuff to figure out, but I spent a good few hours this morning dabbling with code and working through the SDK tutorials. Still a l-o-n-g way to go before I make anything worthwhile - right now all I have is an app on my Nexus 5 that lets me type in some text and a button that doesn't yet do anything - but it's a start. You might not think this is a creative thing, but I don't care. My brain still hurts. Day 165. Although some posts in this project have been a day or two late (including this one) so far I haven't actually missed a day. 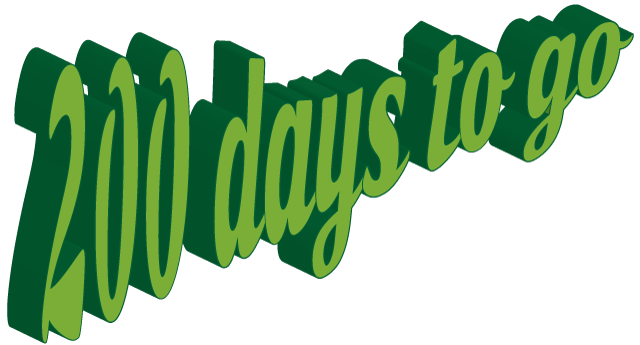 At day 165 it means that I only have 200 more days to go. As predicted, this is starting to get much harder to keep coming up with ideas, but a promise is a promise. This little graphic was made in Adobe Illustrator using the 3D Extrude tool, as well as a bit of free transform to really mess around with the natural perspective. Even on a fast computer, it's amazing how much processor grunt it takes to render simple vector text in 3D like this once you start twisting it around a bit. Day 164. This little clip was made using a new tool from Adobe called Adobe Voice. While it's a little limited in what it can do, it's super easy to use and makes telling stories very simple. Some of our students at school used it to produce some marvellous presentations this week, so it inspired me to make my own to figure out more about how it works. Here's a cheesy little sample I made tonight. While it clearly has educational uses, what I don't like abut it is that you can't save the finished video file to your iPad's camera roll, making it somewhat limited in usefulness since most students will not be able to share it via Twitter to Facebook. Instead it gets hosted on Adobe servers, and has to be embedded from there. Not really ideal for schools. Day 163. Today's create is a short piece of music (24 bars) made in GarageBand on the iPad. I like to dabble in GarageBand and just put together short tracks, trying to match sounds and rhythms. I think it's a great way to learn more about using the software and a fun way to spend an hour or so. I seem to discover something new each time I play with GarageBand. It's an incredibly powerful app, and very impressive that music editing like this can be done on a tablet. Day 162. 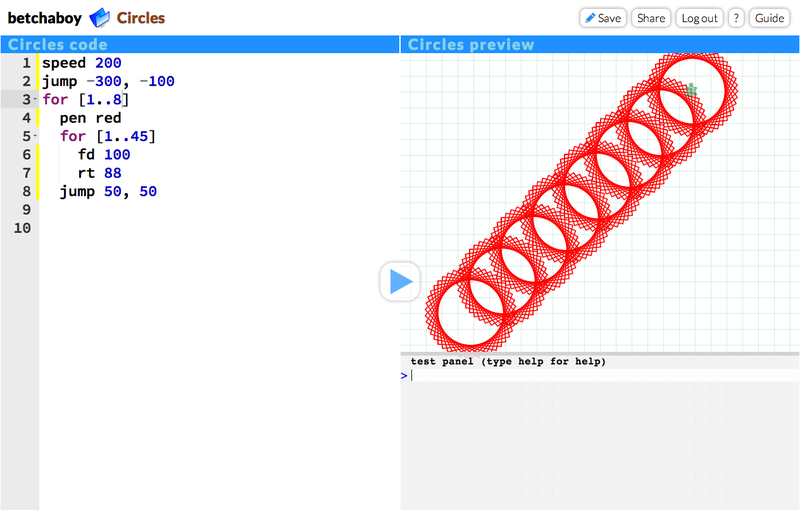 I just came across this online programming tool called PencilCode. It's really very cool (if you're into that kind of thing). It allows you to play with code and explore programming. It's pretty easy to use, although, unlike something like Scratch, it does involve actually typing the commands so it requires you to learn the correct syntax in order to get things to work. It's a bit Python-like. But mostly it's impressive because it runs in the browser and so is perfect for student use. It would make a great follow up language to Scratch for keen students. Day 161. Using the iPad app Sketchvid, this sketch is based on a shadow portrait photograph. I like the graphic nature of the black and white. Day 160. 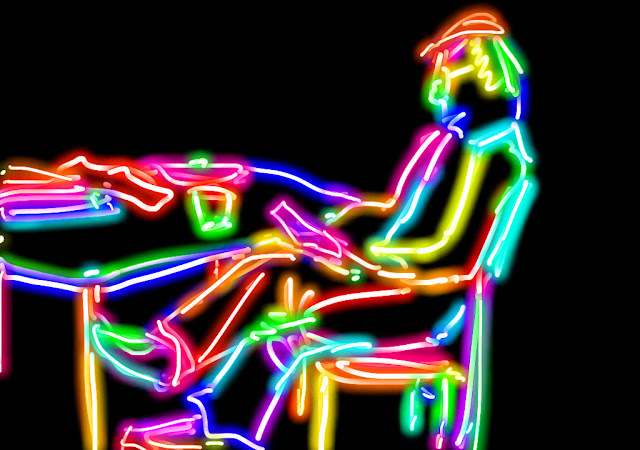 Sitting in a meeting, doodling with an app called Doodoo. Each stroke appears in a new colour, with a neon glow effect. Not my greatest sketch, but it's today's create. Day 159. Today's create has been appsmashed together in a way I haven't tried before. First, I created a 3D model of a creature, based loosely on a kangaroo, in Autodesk's incredible 123D Creature app for the iPad. Unfortunately this app cannot export the finished creature as a complete video clip so it's hard to appreciate the 3D nature of the model in still images. To get around this problem, once it was constructed, modelled and lit, I then exported a series of images of the model in slightly different positions to the Camera Roll. These were then imported into an app called 5 Second GIF, which the App Store assured me could turn a series of still images into an animation. Sure enough, this was the final result. I think it works pretty well. Day 158. Despite the fact that we are already in Winter here in Australia, the excessively stunning weather we have been having lately seems to have confused the plants a little. These photos, taken on my Nexus 5 phone using the new blur mode in the camera and then processed using the camera's built in editing tools, are from the small eucalyptus tree in our back yard. The blur mode give a lovely shallow depth of field effect to the shots. 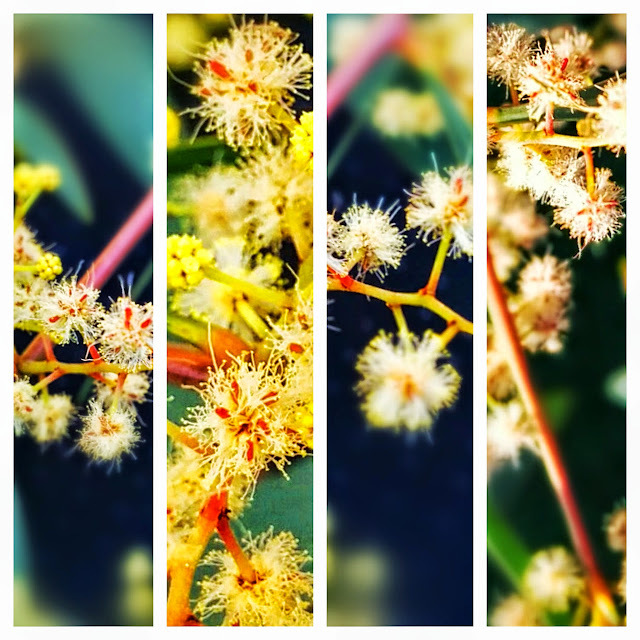 They were then arranged into these four panels using the Diptic app for Android. Day 157. I don't usually use the same tool back to back, but this Repix tool is pretty interesting. It really helps give a very painterly look to a photo. 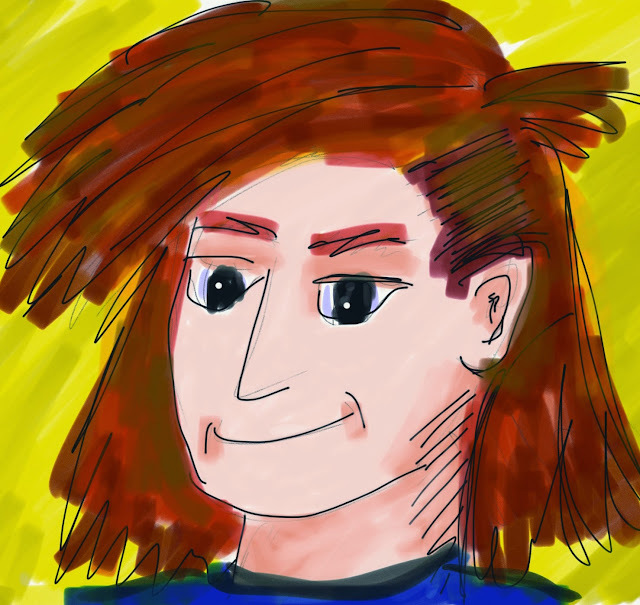 I used a Jot Pro stylus on this image too, which tends to help a lot when going for that brushed, arty look. It's a very cool app with lots of potential. I like the textures that can be built up with layers of effects. Day 156. I was playing with a new app tonight called Repix, a very interesting painting app for iOS. It has a series of brushes and filters that can be applied over a photograph to create effects that range from painterly to other-worldly. It's quite cool. 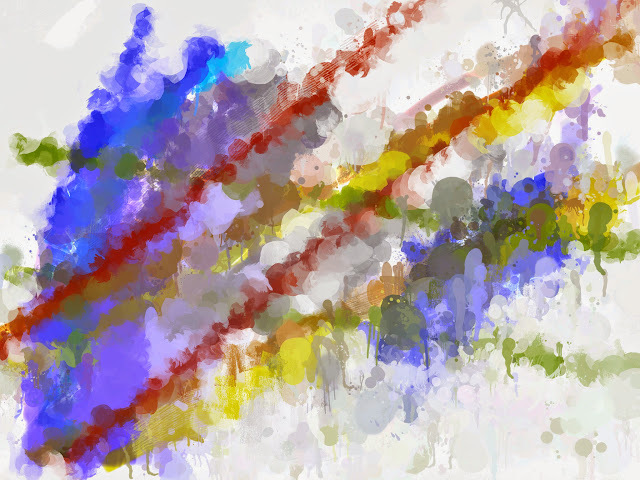 This completely abstract image started life as a small cropped corner of a larger photo ( this actually started out as a picture of a teacher and kindergarten kid using a iPad together, not that you can tell that now.) 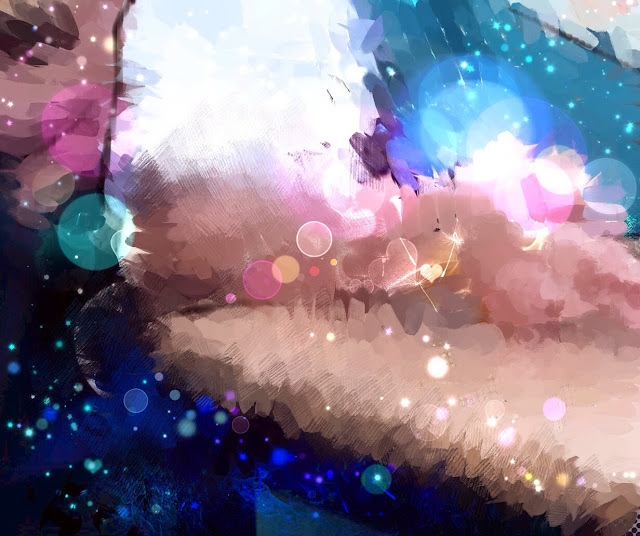 After applying a few effects and brushes it quickly distorts the image beyond recognition. I'd like to get my kids trying this app. "But what's it a picture of?" Nothing now. I just found it to be an interesting arrangement of colours and shapes. Does it have to be "of" something. Day 155. Today I had the privelige of delivering a keynote at the Edutech conference in Brisbane on the topic of creativity. I called it 155 Lessons in the Creative Process, and based it on the lessons I've learned from doing these daily creates, and some of the ideas I've taken from it back to the classroom. Big thanks to everyone in the room for being good sports. Also to those who came up afterwards and gave such lovely feedback to me. It was much appreciated. Update: I trimmed the video a bit and added the subtitles using the YouTube Video Editor. Simples. Day 154. I'm in the Brisbane Convention Centre today for a conference and there is a beautiful piece of art hanging on the wall that I really like. 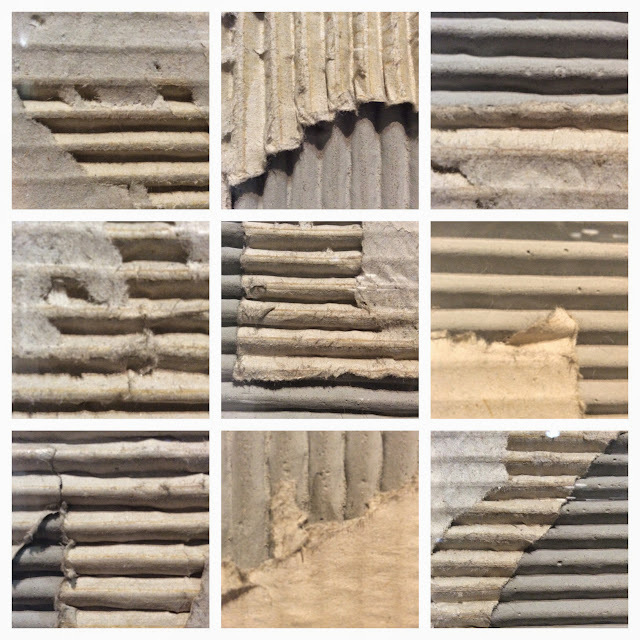 It's a series of torn corrugated squares, arranged in a grid, made by an artist named Rodney Spooner. In the spirit of remixing, or appropriation, or making art based on other art, today's daily create is a series of close up photos of Spooner's art piece, arranged back into a grid using Diptic. Day 153. While waiting at the airport tonight to fly to Brisbane, I walked past this Victoria's Secret store in the terminal and noticed how much overlap there is between the word Secret and the word Create. With a bit of Photoshop Touch on the iPad, I moved a few letters around while on the plane and this is the result. Day 152. 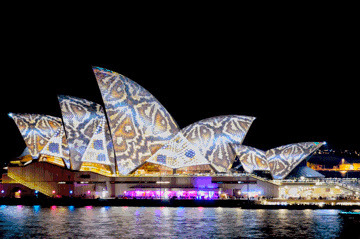 The Sydney Vivid light festival is in full swing in Sydney at the moment and it's pretty amazing. The city is lit up with fabulous projections, lightshows, art, sculpture, sound, installations and talks. Last night I went into the city with my buddy Allan to take photos, as part of a night shooting photography workshop run by a local camera store. I took a lot of photos on the night but these were just a few of my favourite shots of my favourite building, turned into a Gif.